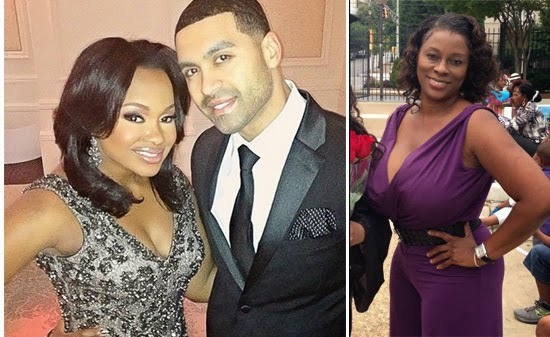 On Friday, Sandrarose.com broke the news that the husband of Real Housewives of Atlanta star Phaedra Parks was arrested on charges of bank fraud and aggravated identity theft. Apollo Nida, 35, surrendered to U.S. Marshalls and was placed under arrest on Thursday, Jan. 23. Reality TV fans were sent reeling by the news. Dissemination of information was hampered when the PACER servers crashed under the weight of users frantically seeking to confirm details of the arrest. But even more compelling than the news of Nida’s arrest is the way the feds built their apparently solid case against Nida and his female partner in crime, Gayla O’Neal St. Julien, 44. The story began to unfold in February 2012 when federal agents with the Atlanta office of the U.S. Secret Service (USSS) began investigating an unknown black female who was opening multiple bank accounts using the stolen identities of real persons for the purposes of depositing over half a million dollars in fraudulently obtained United States Treasury checks. In a sworn affidavit, a federal agent stated that the female (later identified as Gayla St. Julien) opened 4 bank accounts at the same bank using 2 stolen identities. The agent states that an investigator with JP Morgan Chase Bank (JPMC) contacted his office to ask for assistance in identifying the woman and to investigate the fraudulent activity. 2 JPMC bank accounts were opened on 10/4/2011 in Atlanta using the stolen identity of Bobbie L. C., and 2 JPMC bank accounts were opened in Orlando, Fl. on 2/10/2011 under the name of a “shell” company North Point Volvo, Inc. using the stolen identity of Linda G. S-K.
St. Julien then deposited 22 U.S. Treasury checks, issued to different payees, into the 4 accounts. Most of the deposits and subsequent withdrawals were made in the Atlanta area. The JPMC investigator provided USSS agents with video surveillance of the female making deposits and withdrawals of U.S Treasury checks at different JPMC branches in Atlanta. THE JPMC investigator advised Secret Service agents that Bobbie L.C. and Linda G. S-K were contacted and it was further verified that their identities had been stolen. On Feb. 21, 2012, federal agents went to an address listed on the applications used to open the bank accounts at JPMC. They discovered that the address was a UPS store location. The UPS store owner verified that Bobbie L.C. rented a mailbox, #451, at that location. The agents staked out the UPS location and observed a black, middle aged female (later identified as St. Julien) arrive to pick up a package that was mailed to mailbox #451. The agents observed St. Julien enter a blue Mercedes Benz. Agents followed the Mercedes to a Kroger grocery store located at 1160 Moreland Ave, where agents observed St. Julien purchasing various grocery items including diapers and food at a self-serve automated register. Agents obtained a receipt from the Kroger store manager and they determined that the purchases were made with an EBT Food Stamp card. On Feb. 27, 2012 agents with the Atlanta office of the Secret Service contacted a special agent with the State Department of Agriculture-OIG to request the account information of the individual who owned the EBT card. The special agent advised that the EBT card belonged to a Gayla O’Neal with the date of birth 04/30/1970. The photo of Gayla O’Neal on her GA driver’s license matched the female suspect seen in the video surveillance photos from the JPMC bank branches. Public records later revealed that Gayla O’Neal married Jeremy St. Julien in May 2013. A criminal investigator with the GA Governor’s Office of Consumer Protection (GOCP) contacted the Secret Service agent to inform him that St. Julien was under investigation for renting mail boxes at “dozens” of UPS locations all around Atlanta using the stolen identities of real persons. UPS mailbox #283 at 2897 N. Druid Hills Rd., in Atlanta, was connected to a shell company named Onyx Collections & Locator Service used for accessing Equifax databases to obtain personal information on hundreds of individuals. Agents discovered St. Julien used a separate UPS mailbox #248 at 931 Monroe Drive as the forwarding address for receipt of Onyx mail. During this time period, Onyx Collections used the LexisNexis database to access personal identities of over 300 individuals. In early 2011, Equifax discovered fraud and closed an account which had been opened under the name of Onyx Collections in September 2009. The GOPC agent advised the Secret Service that one of his investigators acting as an undercover employee of a vetting company met with “Molly P.”, the owner of “Reliance Recovery and Collections Group Inc.” A site visit was required as an Equifax due diligence measure before Reliance Recovery could be approved to gain access to Equifax data. “Molly” was later identified as St. Julien. St. Julien, posing as “Molly” met with the undercover agent for several minutes and signed documents in his presence. The undercover agent took surveillance pictures of St. Julien and the office, which she apparently rented for the visit. The scope of St. Julien’s fraudulent activity involved 40 banks and as much as $3 million in illegally obtained proceeds. The banks included Bank of America, BB&T bank, Nationwide Bank, SunTrust Bank, Wells Fargo, and more. During the course of the investigation, agents discovered that St. Julien was a convicted felon with arrests dating back to 1988 for offenses including running a counterfeit payroll checks scam in Las Vegas, NV. 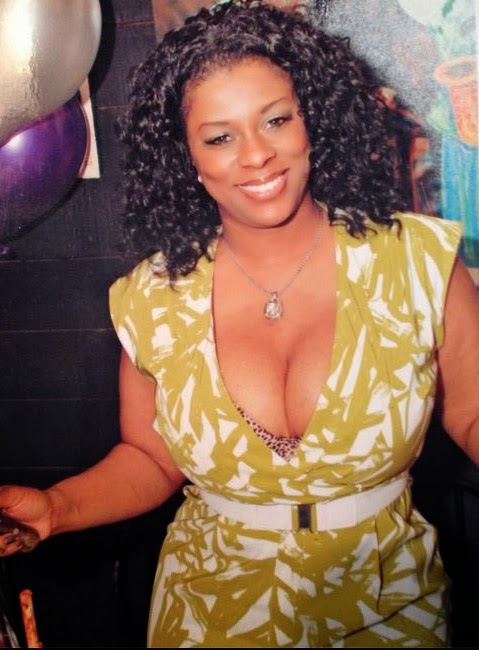 On August 22, 2013, a SunTrust Bank investigator advised the Secret Service agent that St. Julien, using the stolen identity of Vanessa J., was in the teller line at a SunTrust Bank branch in Atlanta, GA, attempting to withdraw funds from the Signature Tax Collections Inc. account, but was unsuccessful. The SunTrust account had just received a wire transfer of $25,400.00 from a Wells Fargo bank account in the name of a shell company called Ferrari Autohaus, Inc. On 08/30/13, a Wells Fargo investigator advised that the bank account for Ferrari Autohaus Inc. had sent a $25,000.00 wire transfer to Signature Tax Collections Inc. on 07/22/13 and another $25,400.00 wire transfer to the same account on 08/22/13. On 08/23/13, a SunTrust investigator informed the USSS that “Vanessa J.” went to another SunTrust Bank branch and successfully withdrew $9,500 in cash and wire transferred $8,000 from her Signature Tax Collections Inc. account to an account named “Heritage Recovery” also in the name of “Vanessa J.” The SunTrust bank investigator stated that he froze the remaining funds in the account, and that “Vanessa J.” had been calling every day multiple times a day to various SunTrust bank locations in an attempt to recover those frozen funds. St. Julien was arrested on Sept. 11, 2013 by the Secret Service. She immediately fingered Apollo Nida as the alleged mastermind who provided her with stolen identities to commit bank and check fraud. St. Julien told investigators she met with Nida on multiple occasions to return the stolen IDs after each usage. Nida surrendered to U.S. Marshals on Thursday, Jan. 25. He was arraigned the same day and released on $25,000 bond. Nida is accused of paying U.S. Postal employees to steal retirement checks issued to Delta Airlines employees, and checks in the names of real people that were owed unclaimed property from various state and federal government agencies, according to the criminal complaint. The pair are additionally charged with applying for loans in the names of stolen identities for the purchase of non-existent vehicles from shell car dealerships or automobile brokers created by Nida. The shell companies included Acura Carland, Crown Car Dealers, CroWn Pre-Owned Mobiles, Ferrari Autohaus, Final Auto Solutions, Fitzgerald Motors, Goodwin Automall, My Capital Cadillac, My North Point Volvo, My Scarrett Lincoln Mercury and Signature Luxury Imports. In some cases Nida create websites to legitimize some dealerships. The feds requested additional indictments be sealed as the case is ongoing and other Nida co-conspirators are under investigation, including “several” Real Housewives of Atlanta cast members, according to my source down at the court house.